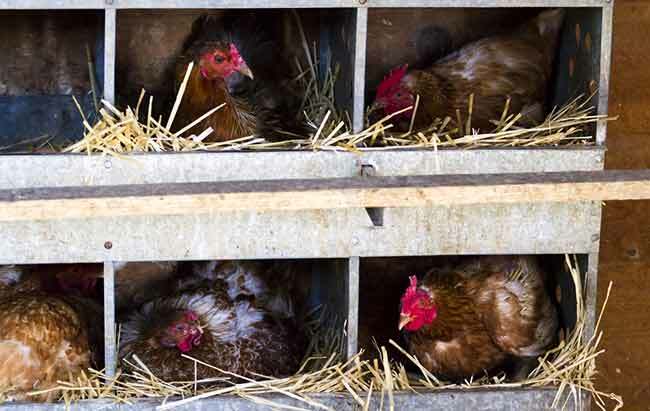 Chickens lay in a cycle, a laying period can last a few weeks to months, depending on the breed and even the strain within the breed (a strain bred for exhibition for example might not lay as many eggs). Their peak ‘production’ is in spring and they normally stop laying all-together during the darker days of winter. I say ‘normally’ stop laying because some hybrids will lay well into the winter and young hens from productive breeds like our light Sussex will come into lay in the early winter and lay at a reduced rate over the darker months if they are hatched in late spring and grown over the summer months to Point of Lay in the autumn. We hatch 6-12 replacement hens each year in the spring to try ensure we get some winter eggs. Between these pullets starting to lay and the older hens stopping for winter, we can usually get eggs for all but about a month around Christmas each year (and wow is this a painful time… I like my eggs). This year that’s gone slightly wrong because I hatched my chicks later than normal and as I write this in October, the older hens are in moult and the pullets are still growing and about a month off laying. Chickens really need 14-16 hours of light per day to be regular layers. 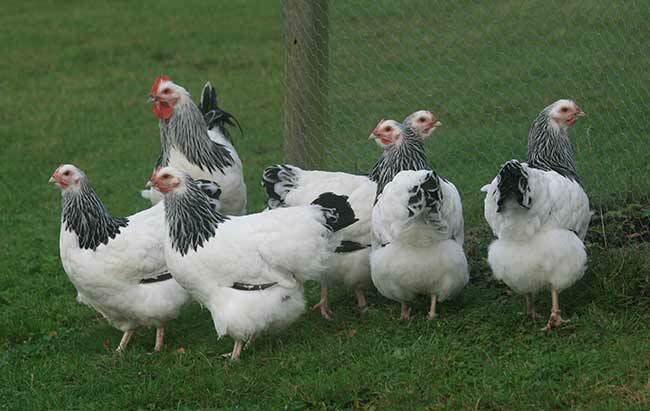 Typically hens stop laying between late September and February in the UK when the number of hours of daylight are at a minimum. It is the pituitary gland in the back of the eye that is stimulated by light and produces a hormone, carried via the bloodstream to the ovary which sets egg production in motion. Commercially, the lighting levels are carefully controlled within their housing so that hens can continue to produce eggs through the winter months. This isn’t something I do at home but if you’d like to learn more, there is information on lighting hens through winter here on the poultrykeeper.com site. Chickens will normally lay an egg during the daytime. The egg laying cycle takes 25 hours so the next egg is an hour later the next day. After 6 days they rest for a day. In less productive breeds, they can miss a day or two between eggs. Of course chickens need a quiet, place to lay (a nest box) and prefer this to be darkened for privacy. It should be kept clean so eggs don’t get soiled and they should never be allowed to roost in their nest boxes for this reason. A tip to make sure this happens is to make sure perches are higher than nest boxes or it will be an uphill struggle trying to stop them! Ducks are slightly different to chickens with their laying. 90% of their eggs are laid before 9am. Most eggs will be laid during the early hours of the morning which is handy for collection if you house your ducks at night. 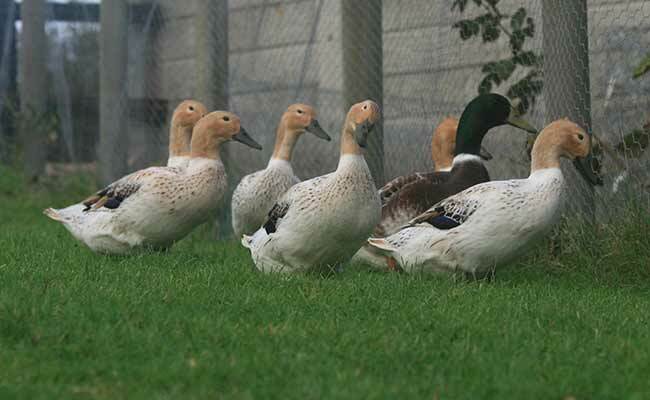 Ducks will often lay their egg wherever they are at the time so if you let them out early in the morning, you may find a number of eggs dotted around their run and even in their pond. Ducks can be encouraged to use a nest by giving them a private area and some straw but they won’t always use it. Geese like to use a nest if a suitable house / nest is provided. A dog kennel is ideal or just a small poultry house with the door left open during the day. Provide straw in one corner and they will usually lay here. 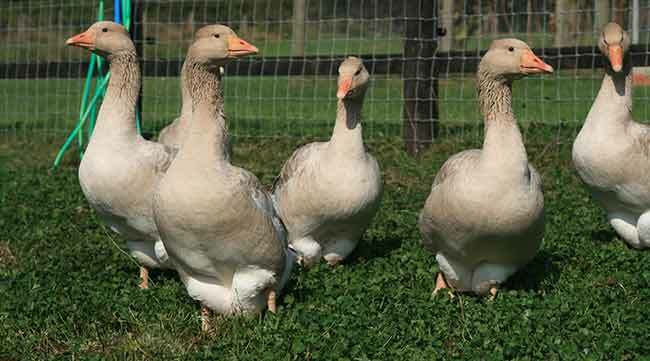 Unlike chickens and ducks, geese will lay at different times during the day. My Brecon Buff geese don’t lay many eggs each year (two clutches of approximately 10 eggs each is good) so it’s really important for me not to lose any. 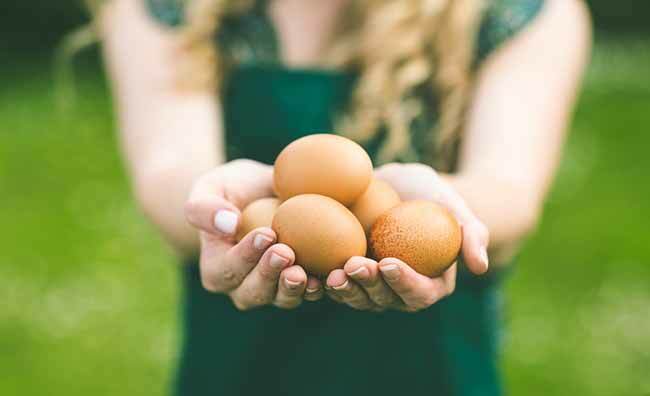 Collecting and storing our eggs hasn’t really crossed my mind in the past, it’s just something we do every day without thinking about it, but before going on holiday this year, I started to discuss when to collect eggs and how to store them with our house sitter. On reflection, there are actually quite a few points to bear in mind for the novice so here are a few ideas to keep in mind. Once eggs have been collected, they should not be washed. Eggshells are porous but have a thin-film coating, which has anti-bacterial properties, if washed, this removes the protection, allowing harmful bacteria to penetrate the shell. If we have an egg that’s soiled badly, it gets saved to go with our dog’s next meal but you can use a plastic knife or even a fingernail to scrape the worst off and a slightly damp cloth to wipe the worst part. Before use, eggs can be washed but only using warm water so bacteria aren’t drawn into the shell. We store our eggs on trays in our pantry, which is slightly cooler than the rest of the house. Fresh eggs are placed at the back of the tray so we use the oldest eggs first. 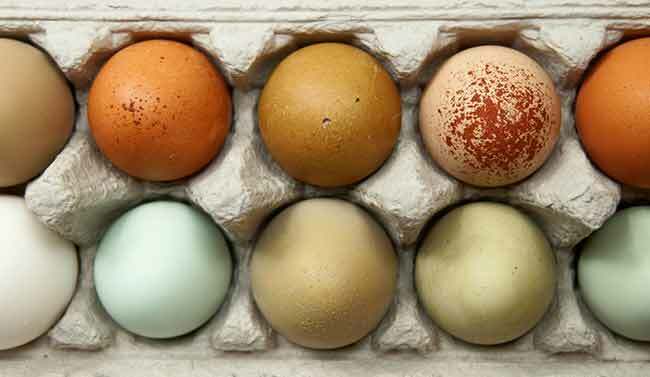 Chicken eggs will store for four weeks and duck eggs for three, but we rarely have eggs that are more than a week old even in spring when production hits its peak. Hopefully this will give you a few ideas on how to collect and store your eggs. If you’ve got any ideas or questions then please feel free to comment below.